It was found on e-bay, a hand-coloured print that must have been used to publicise the movie in cinema foyers. It has to be one of my favorite stills, bought by someone who kindly brought it to Coniston Water on the day in April 2011 when we re-launched Swallow beside the pier at the Bluebird Cafe. Everyone was facsinated. I’d never seen it before but it has memories of a good day, spent not on Coniston but further north on Derwentwater. 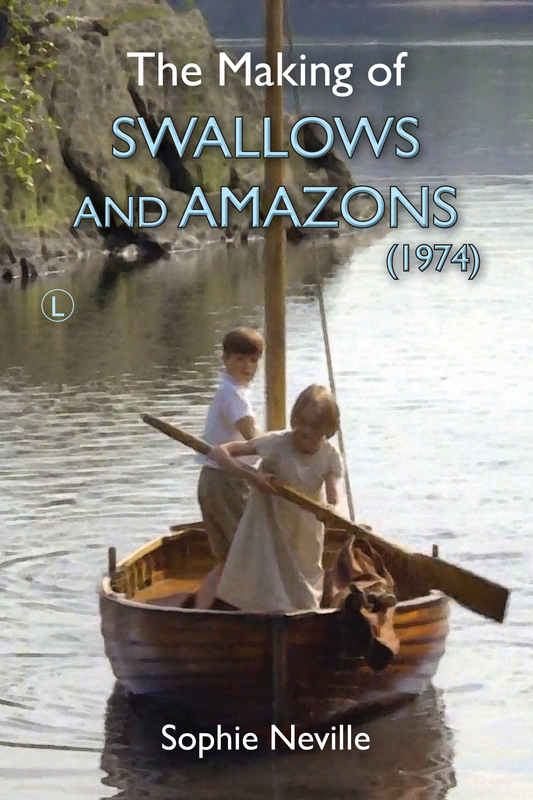 When Richard Pilbrow’s movie of Swallows and Amazons was first shown on British television in 1977 a trailer was made by ITV to advertise it. This started with the shot of me saying, ‘They’re pirates!’ People loved that trailer. Everyone was going around saying, ‘They’re pirates!’ If it was my best performance the reason was that I had been lying on a red ant’s nest – and they were biting. The other secret is that that lighthouse tree is not a tree. Not one that was growing. It was a big log that Bobby Props had stuck in the ground making the ants very angry indeed. This was the second location for ‘Lookout Point on Wild Cat Island’. It was on a promentary that overlooks the bay where the houseboat was moored on Derwentwater. There were bushes but no sadly big pine trees. The log was planted so that our director Claude Whatham could get what is called a two-shot of the Swallows watching Nancy sail past Captain Flint’s houseboat, while Peggy raises the skull and crossbones. As we were keeping low the height of the lighthouse tree was not an issue. So, the secret of Wild Cat Island is that it was filmed in three different places as well as being depicted in the opening titles as Rampsholme, an island on Derwentwater. I think this is faithful in that Arthur Ransome indicated by using anotated postcards that wanted the fells that one would see from Castle Hill as a backdrop for his story. 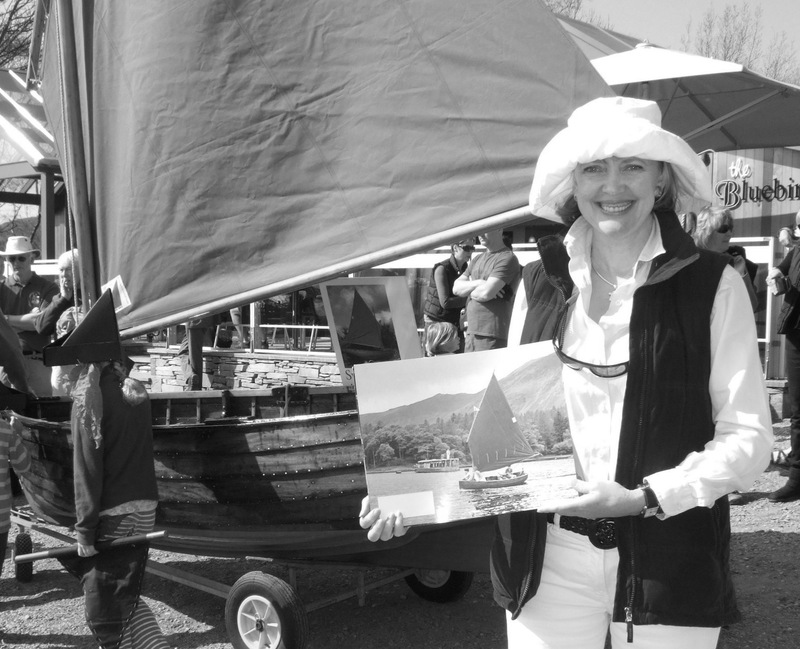 In her book, In the footsteps of the ‘Swallows and Amazons’ Claire Kendall-Price provides a wonderful map and guide showing how you could walk from Keswick to find some of the locations. We didn’t use Blake Holme on Windermere at all even though Arthur Ransome had invisaged the camp fire as being there. Richard told us it had become a real camp site by 1973 with caravans on the nearest shore. Just prior to this scene when we spot the Amazons for the first time, I was working on the chart while Susan was sewing a button onto Roger’s shirt. The needle stuck into him as he flung himself down on the grass beneath the lighthouse tree. Since needles are small you can hardly see what is happening but I think it is a detail that Arthur Ransome would have appreicated. I wonder if the same sort of thing had happened to him as a child? He used his memories of Annie Swainson throwing him across her lap to darn his knickerbokers whilst they on him, just as Mary Swainson frequently has to darn Roger’s shorts after sliding down the Knickerbockerbreaker rockface in Swallowdale. Claire Kendall-Price discribes this and where it all happened beautifully. Stephen Grendon as Roger having a button sewn back on by Suzanna Hamilton playing Susan Walker in the previous scene. I don’t know why she felt depressed. Perhaps it was the ants. She was on more of them than me and they were not waving. They were very angry.